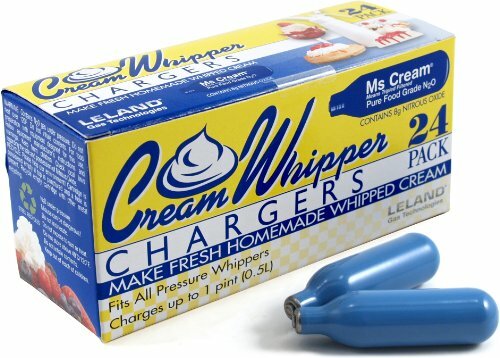 1 Box of 50 Ultra-Pure whip Whipped Cream Chargers. 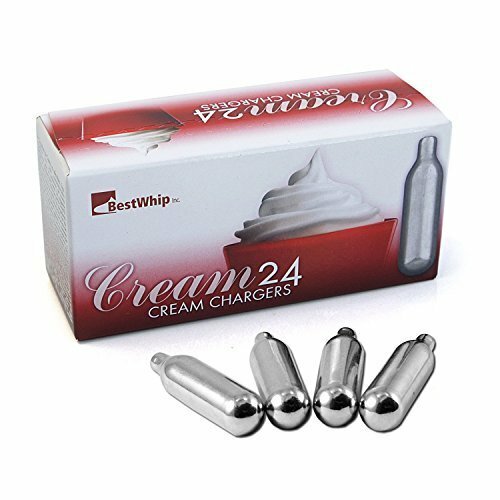 This is the highest quality European nitrous oxide whip cream chargers available. Ultra-Pure whip is produced by an Austrian company using the latest filtration technology for unmatched purity. Ultra-Pure whip is offered with the idea of offering the purest, highest-quality nitrous oxide cartridge for the cooking connoisseur at a economical price. Crafted in Europe's newest and most modern facility in either Vienna, Austria or approximately 40 miles in a new facility in Czech Republic, you will not be disappointed with the quality of this product. 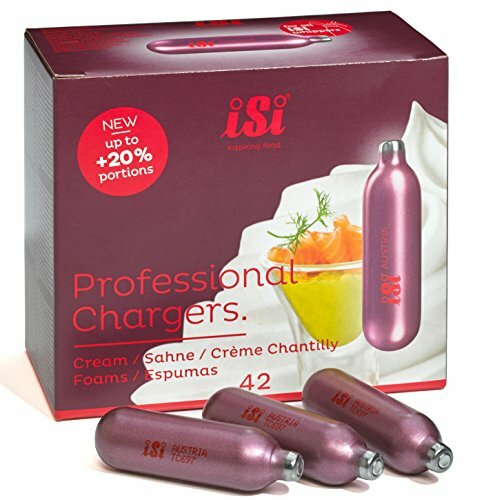 Standard 8 grams steel whipped cream chargers are filled with nitrous oxide from a French or Belgian pharmaceutical manufacturer (for superior quality assurance). Next, the cartridges are sealed and electronically weighed and coated with a high build paint for superior sealing and protection. Try this superior cream charger for guaranteed satisfaction. Ultra-Pure whip is always guaranteed to arrive with a full, 8 gram charge of 100% pure nitrous oxide. You will not discern any off-taste in even the most subtle whips, espuma, or delicately flavored sauces. 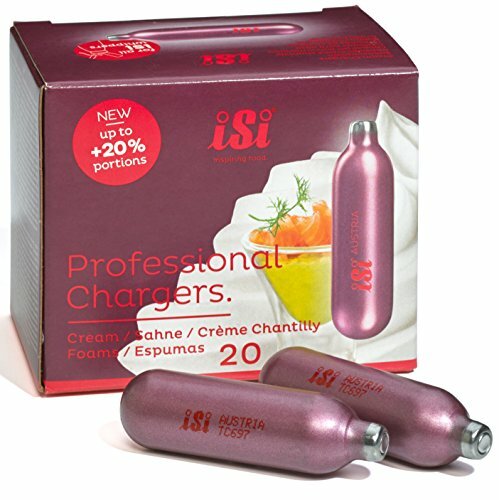 This is the highest quality European nitrous oxide whip cream chargers available. 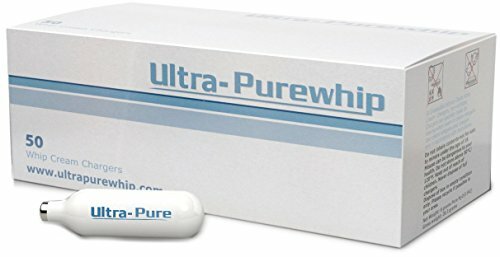 Ultra-Purewhip is produced by an Austrian company using the latest filtration technology for unmatched purity. Ultra-Purewhip is offered with the idea of offering the purest, highest-quality nitrous oxide cartridge for the cooking connoisseur at a economical price. Crafted in Europe's newest and most modern facility in either Vienna, Austria or approximately 40 miles in a new facility in Czech Republic, you will not be disappointed with the quality of this product. 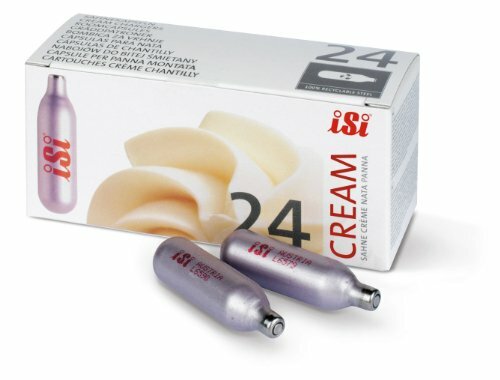 Standard 8 grams steel whipped cream chargers are filled with nitrous oxide from a French or Belgian pharmaceutical manufacturer (for superior quality assurance). Next, the cartridges are sealed and electronically weighed and coated with a high build paint for superior sealing and protection. Try this superior cream charger for guaranteed satisfaction. Ultra-Purewhip is always guaranteed to arrive with a full, 8 gram charge of 100% pure nitrous oxide. You will not discern any off-taste in even the most subtle whips, espumas, or delicately flavored sauces. 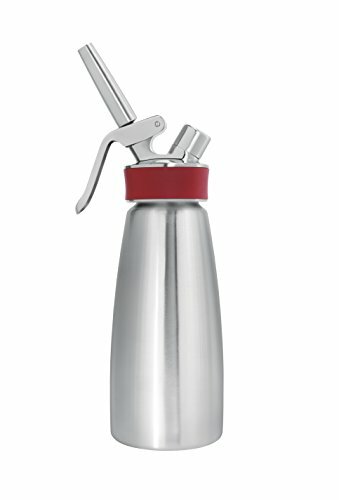 The Gourmet Whip Plus is a multifunctional cream whipper for the professional or home kitchen. This product has been designed to prepare both hot and cold creams, sauces, espumas, soups or whipped cream and other desserts. Let your imagination run wild - you'll be amazed at the range of products that you can create with this essential kitchen tool. Looking for more Cream Whipper Chargers similar ideas? Try to explore these searches: Fine Sunflower Chips, Sheath Strapless Sleeveless, and Doll Cake Mold. Shopwion.com is the smartest way for comparison shopping: compare prices from most trusted leading online stores for best Cream Whipper Chargers, Hand Sanitizer Ingredients, 20 Gallon Fish Tank Stand, Cream Whipper Chargers . 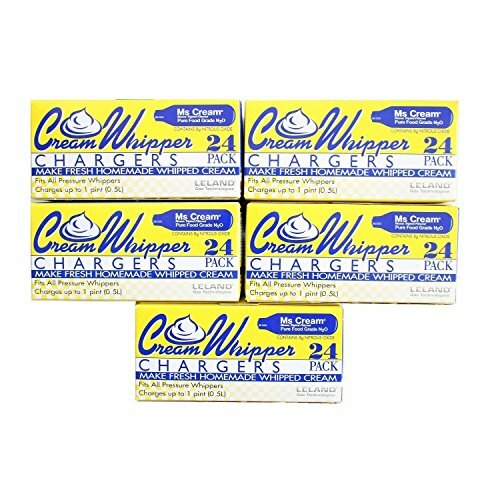 Don't miss this Cream Whipper Chargers today, April 20, 2019 deals, updated daily.